Crafted in the same facility as our U.S.-made instruments, the American Elite Series neck offers the best of both worlds by combining top-of-the-line, classic Fender design with the modern, smooth playability of a Fender compound-profile neck. A modern "C"- shape at the nut, the rear of the neck morphs along the length of the neck to a modern "D"-shaped profile at the neck heel. 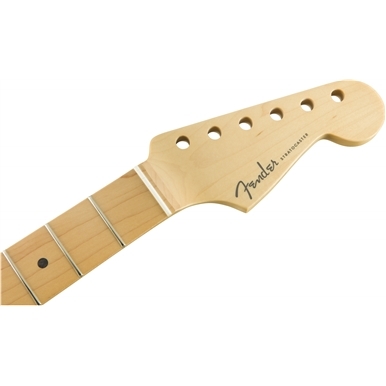 A thoughtfully contoured 9.5”–14”-radius fingerboard gives players outstanding comfort and seamless movement along a satin urethane-finished neck. Setups and adjustments are a breeze with the 2-way adjustable truss rod at the heel, without the need for special tools. 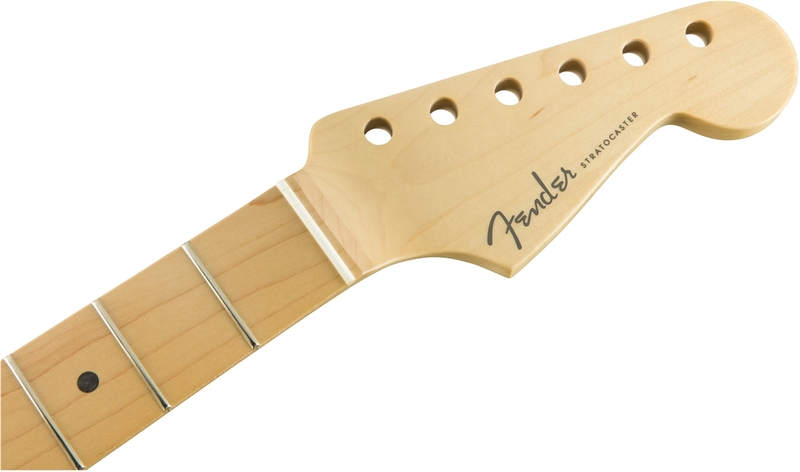 We recommend a Fender Authorized Service Center to install the American Elite Series neck, as it may be necessary to modify the body to install due to the truss rod adjustment wheel placement.